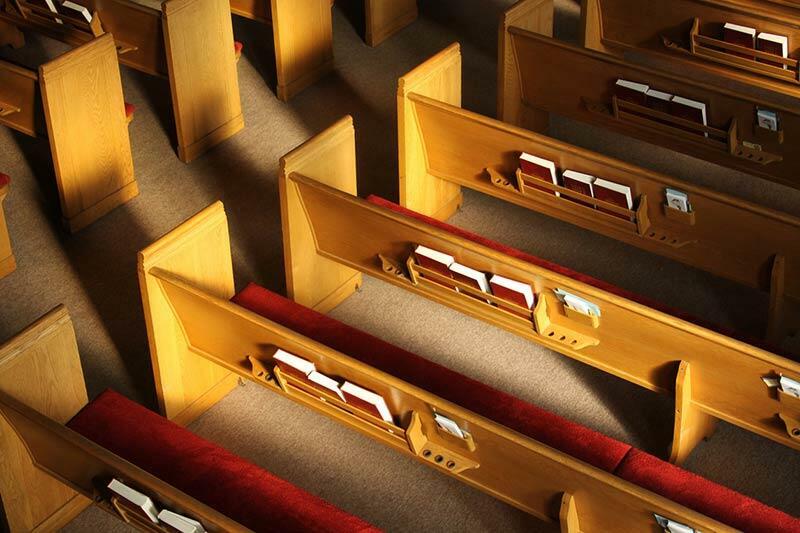 IES performs a variety of services that can benefit your House of Worship. We offer complete audiovisual design and installation on systems of every size and scope. Whether the project spans across an entire campus, or is a smaller system that just affects the main sanctuary, we can write a customized program and design a system to fit any need you may have. 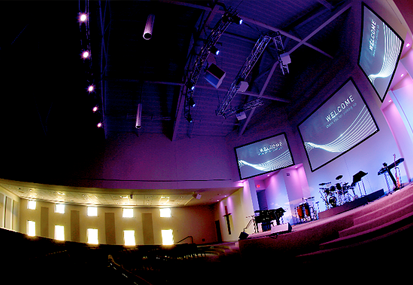 Click on the picture to the left to see some examples of our completed house of worship projects. IES designed and installed a campus wide audiovisual solution for a House of Worship in Baton Rouge, La. This system is made up of three projectors in the main sanctuary, as well as a robust audio system with over 30 mic inputs. There are three more projectors in the youth classrooms, as well as a projector in the gymnasium. This system is designed for each room to run independently or be used as an overflow from the main sanctuary. All video and audio can be routed to each of the other rooms so the children can watch the service when they are in the classrooms. This is a state of the art audio and video solution that required a complex custom program to control all of the components. IES employees designed, programmed, and installed this entire project. IES completed a design build project to furnish and install audiovisual equipment for the expansion of a Methodist Church Youth Building in Baton Rouge, LA. The areas of expansion included the Conference Center, the Junior High School Café, and the High School Lounge. Through the use of projections systems in all areas, along with sound and control systems, the Church is able to provide young people with a high tech multimedia experience. 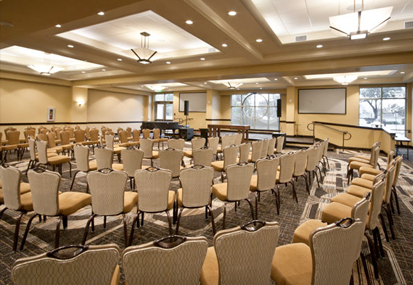 The Conference Center systems allows presentation of a variety of programs and productions. The Café and Lounge area systems help to provide a great area for the kids to relax and hang out!